This Polaroid SILVER Express is in great working condition and great cosmetic condition with a few scuffs and scratches on the silver plastic body. Everything looks and sounds great. The output unit runs well and the pressure rollers are corrosion free. Flash fires when the shutter button is pushed and the flash override button also works. Velcro hand grip is also in great condition. The close-up lens is also in working order. I highly recommend buying an Impossible Project Frog Tongue so you don't have to worry about shielding the film when it comes out of the camera. If you buy the frog tongue and camera at the same time Iet me know if you would like me to install it before shipping. This particular Polaroid 600 camera was a revision of the earlier models that used integral 600 film. It had a round top and resembled a bread bin when closed. The flash is enclosed by a semi-circle of translucent plastic (as opposed to the earlier rectangles). A velcro hand grip is usually present on the user's left-hand side. All models have a close-up adaptor. It is fairly basic instant camera but sold very well under various names and with a multitude of color schemes. Please note that this camera has been fully tested with actual film but it was not refurbished. Follow us for discounts and other special offers! 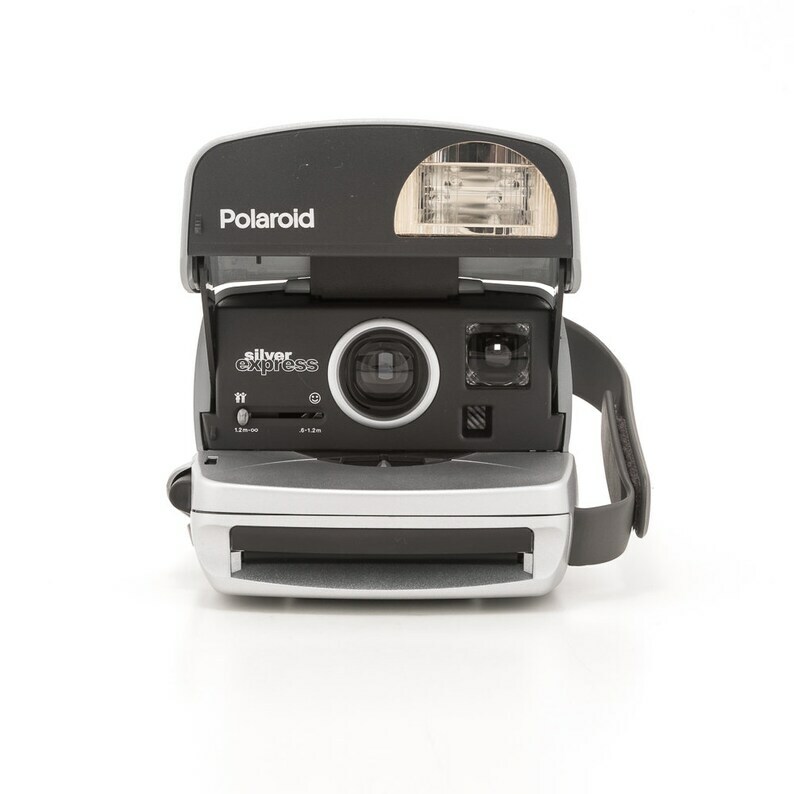 Check out our shop for more vintage Polaroid Cameras and accessories. Works with all Polaroid Originals film.